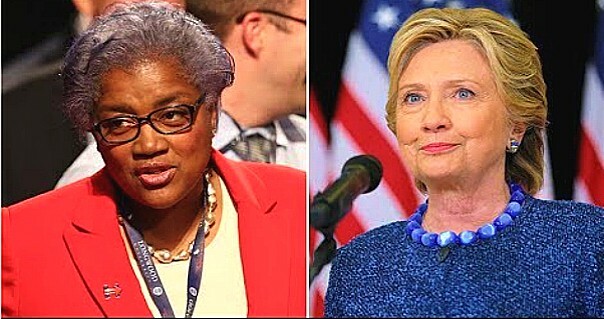 The clear corruption within the DNC and the Hillary Clinton campaign were well known to Donna Brazille after their convention, but she decided to aid the cover up until now because she feared what would happen if Donald Trump won the election. Some are calling her brave. Sorry, folks, but what she did is not bravery. It’s a way for her to clear her conscience after the fact. The short version of the story is that the DNC was broke, Hillary’s campaign came in and took over by putting them on financial life-support so they could keep control before winning the nomination, then they funneled as much money as possible into her campaign. Oh, and it’s a combination of poor management by Debbie Wasserman Schultz and Barack Obama that caused the financial problems in the first place. The DNC fails because they practice the same economic irresponsibility that their politicians practice in DC. Hillary Clinton will work whatever backend deals she can to elevate herself regardless of what damage it does to the people surrounding her, the Democratic Party, or the nation. Barack Obama was the epitome of horrendous financial decision-making for both the DNC and the country. What Brazille did by revealing all of this was make herself feel better about participating in arguably the most corrupt primary process the nation has ever seen. I always thought it should have been a Ted Cruz vs Bernie Sanders general election, but it wasn’t. The difference between the two winners is that Donald Trump beat Cruz fair and square while Hillary had to steal the nomination from Bernie. Brazille’s revelations at this late stage prove that she’s a coward, not a hero.